A comfortable well presented double en-suite room. 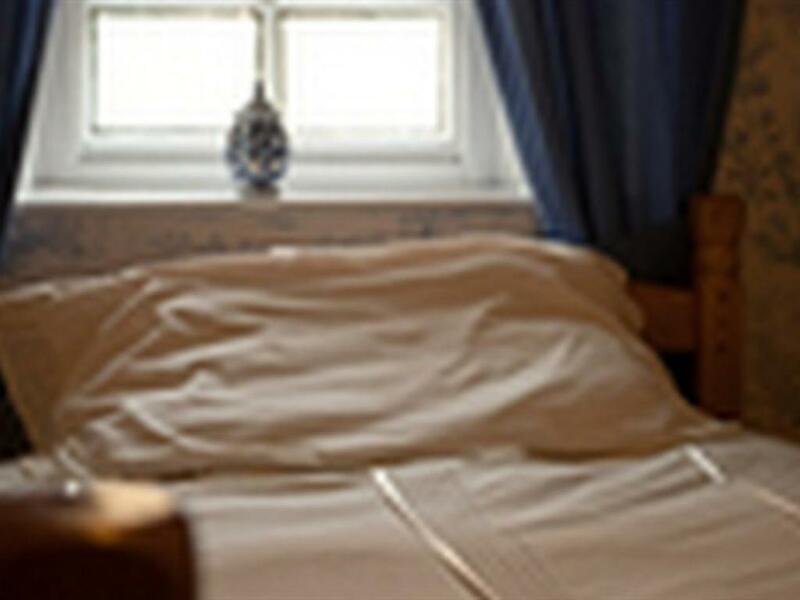 All rooms have tea and coffee making facilities and colour television. 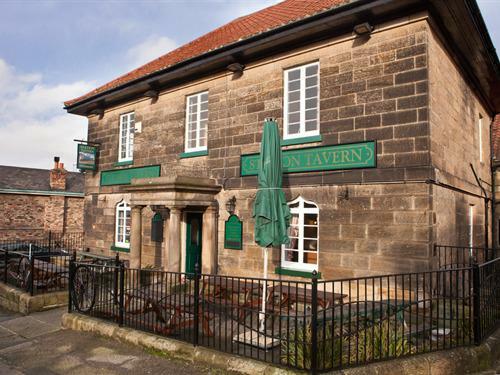 A comfortable well presented single room with private bathroom facilities. All rooms have tea and coffee making facilities and colour television. A comfortable well presented family en-suite room. All rooms have tea and coffee making facilities and colour television. We have one single room with its own bathroom, one double en-suite room and a family en-suite room. Prices start from £43 per room per night. All rooms have tea and coffee making facilities and colour television. We can accommodate infants. 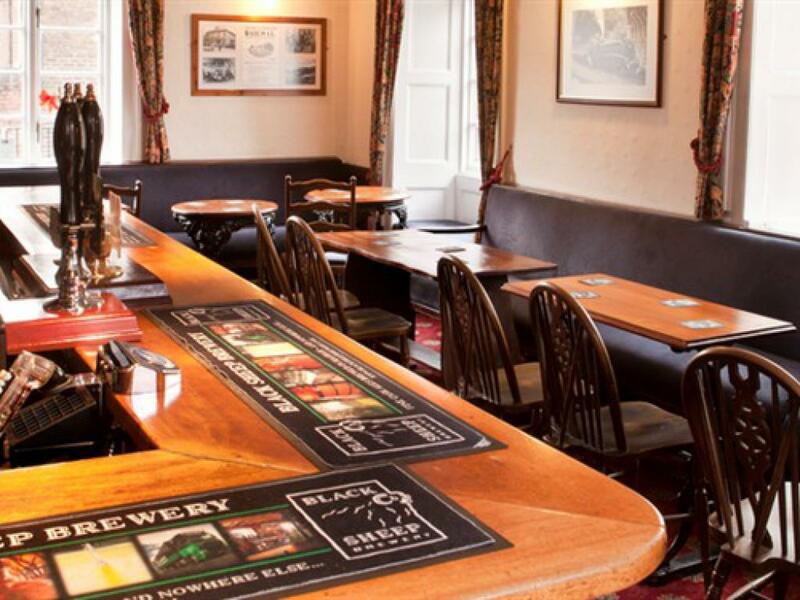 We have a traditional bar and a separate dining room. 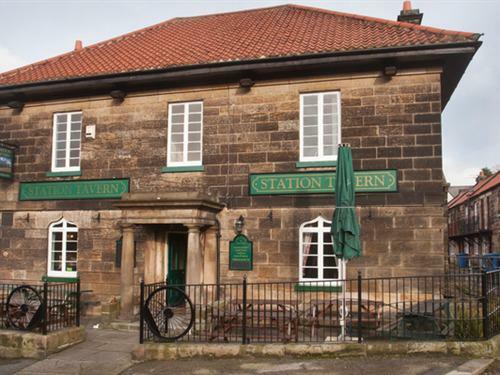 Diners can choose to have a meal in the bar, dining room or on the patio area outside the front of the pub and watch the Steam Trains arrive and depart Grosmont Station. 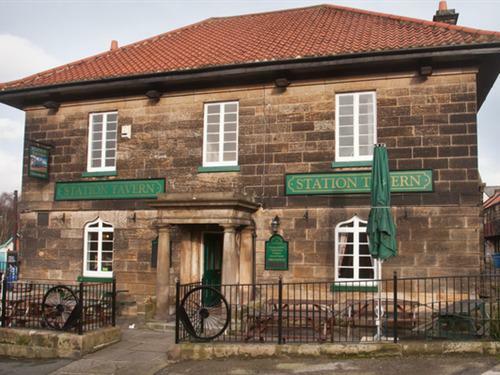 Situated in the village of Grosmont, the Station Tavern is ideal for the visitor wishing to take full advantage of the beautiful countryside of the North Yorkshire Moors with many footpaths for the keen walkers to explore the wonderful scenic parts we have in this area. The famous and picturesque fishing port of Whitby is easily reached by the local bus service, Esk Valley train or now the North Yorkshire Moors railway. Grosmont is also the northern terminus for the North Yorkshire Moors Railway, a preserved Steam railway, which travels through some breath taking scenery to reach Pickering some 18 miles away. North Yorkshire Moors Railway have now included some services to Whitby by Steam Train. Take the A64 from York, follow the signs for Scarborough. When approaching Malton turn left onto A169 signposted Pickering. In Pickering cross the roundabout and continue on the A169, signposted Whitby. Cross the Moor for about 14 miles and take the left turn to Grosmont. Travel down the steep hill road and we are located in the centre of Grosmont village, next to the North York Moors and Northern Rail Railway station. Northern Rail serves the station at Grosmont with services from across the country. The Station Tavern is next to the Railway station.